Three days of 42 degrees and although its cooling down to around 31 on Sunday (current forecast), its going to heat up again next week and according to the long range weather forecast the week after is going to be a scorcher as well. A few tips to keep you cool, other than making sure your air conditioner is in working order. Close curtains and blinds where possible, this will cut down on the heat transfer inside your home. Wear loose clothing, take shoes off when possible, you would be surprised what relief taking your shoes off gives you. Take a cool shower, or keep a spray bottle of water in the fridge, run your wrists under a cool tap. All of these help to cool down the bloodstream and regulate your core temperature. 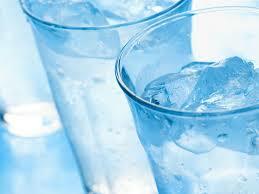 Drink plenty of cool drinks, preferably water to keep you hydrated. Alcohol, while initially refreshing only makes you more dehydrated. Turn off appliances where possible, TV / Computer etc, and if you must use the dishwasher use it late at night. All these give off heat which you don’t really need inside your home right now. NO CHIPS!! Or anything that needs to be heated up in the oven, just think of it as a way to stay healthy, eat a cooling salad instead. Make smoothies with frozen bananas, berries and cold milk or ice cubes. Finally make sure your air conditioning filter pads are in tip top condition. If your pads are worn then you will not be getting the full benefit of your air conditioner, and if its on it might as well be working efficiently. Thermelec are open 8 am – 5 pm Monday to Friday and have a huge range of air conditioning parts in stock.